The UK has the advanced manufacturing capabilities to effectively manufacture critical systems for a small modular reactor (SMR), according to a study by the Nuclear AMRC for Westinghouse Electric Company. The study focused on the reactor pressure vessel (RPV) of Westinghouse’s SMR design. The RPV is one of the largest and most demanding parts of any reactor. The Nuclear AMRC’s study builds on its extensive experience in design for manufacturing large complex parts for safety-critical nuclear applications, drawing on broad academic and industry knowledge. The manufacturing study determined that Westinghouse’s use of UK advanced manufacturing techniques offers a potential 50 per cent reduction in delivery lead times and offers substantial cost savings to SMR manufacturing. “The results of this manufacturing study demonstrate the important role that Nuclear AMRC can play in identifying efficiencies within the advanced manufacturing process to significantly reduce capital costs and drive project savings, whilst also highlighting key opportunities for the UK supply chain which can only benefit the UK economy,” said Mike Tynan, chief executive officer of the Nuclear AMRC. The Nuclear AMRC study provided a professional, independent assessment of Westinghouse’s RPV design, and identified how advanced manufacturing processes can be deployed to significantly reduce capital costs. Westinghouse’s existing UK footprint supports the Nuclear AMRC’s findings on localisation and advanced manufacturing. 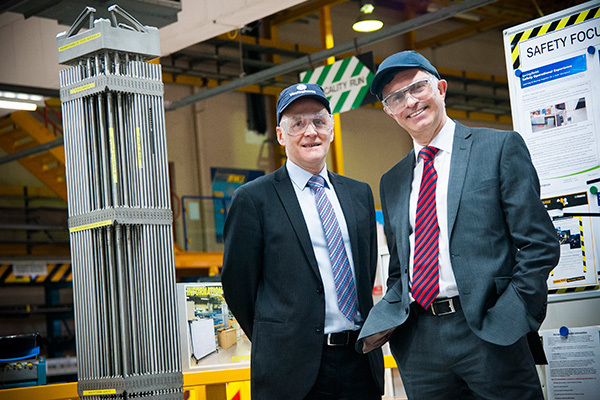 The company’s Springfields facility near Preston is a strategic national asset employing more than 1,000 people, and allows for SMR fuel to be manufactured locally, something no other SMR technology provider currently offers. In March, the UK government launched a competition to identify the best-value SMR design for the country. The first phase aims to gauge market interest among technology developers, utilities and other stakeholders in developing, commercialising and financing SMRs in the UK. The government is also investing at least £30 million for an SMR-enabling advanced manufacturing R&D programme to develop nuclear skills capacity.